Worked for seven years in Switzerland involved in quality research on components and instruments at Philips. 7 years were at defence research, involved in flighttests of guided missiles 2 years were spent at building research, involved in environmental studies in large buildings. During this period Frits became involved in repairs for underground instruments in mines. 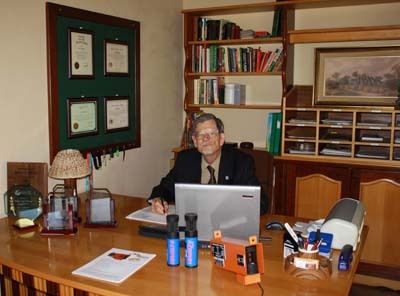 After a while Dr. A.D. Surridge and F.Ypenburg formed SAFDY Systems (ADS and FY). During 1990 they started marketing their vortex airflow meters in South African mines. They completed many tests in the CSIR windtunnels and were convinced that vortex airflow meters when working well were the superior instrument for harsh environments such as underground goldmines.